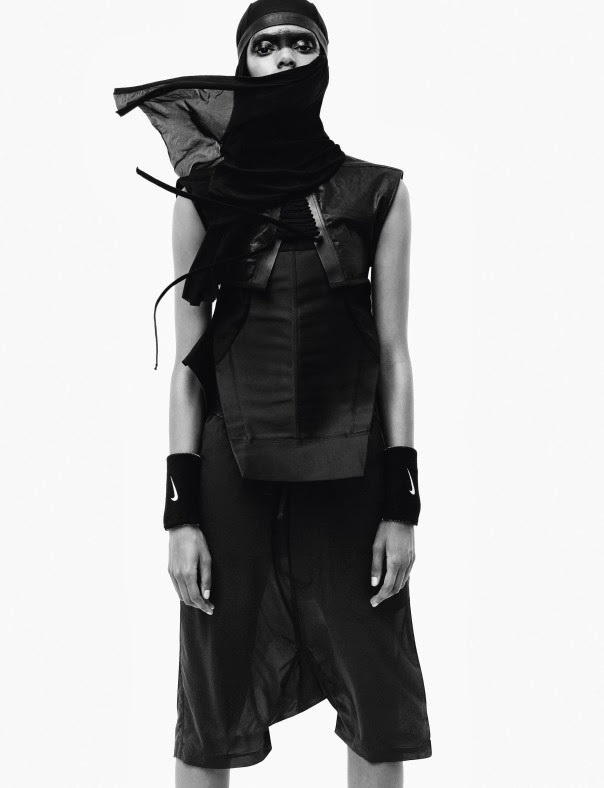 i-D Magazine embraces individuality with the Spring/Summer 2014 season's standout runway renegades. Photographer Daniel Jackson hones his lens on a motley crew of established and new faces for the i-D's portfolio "The Right Face at the Right Time". The one-of-a-kind looks of Meghan Collison, Irene Hiemstra, Grace Mahary, Harleth Kuusik, and Grace Bol find their place alongside more conventional beauties Chiharu Okunugi, Juliana Schurig, Sam Rollinson, Drake Burnette, Nastya Sten, and Riley Montana. Fashion Editor Alastair McKimm draws on the individual edgy appeal of the models decking each out in black and white ensembles interspersed with leather, lace, and denim looks. 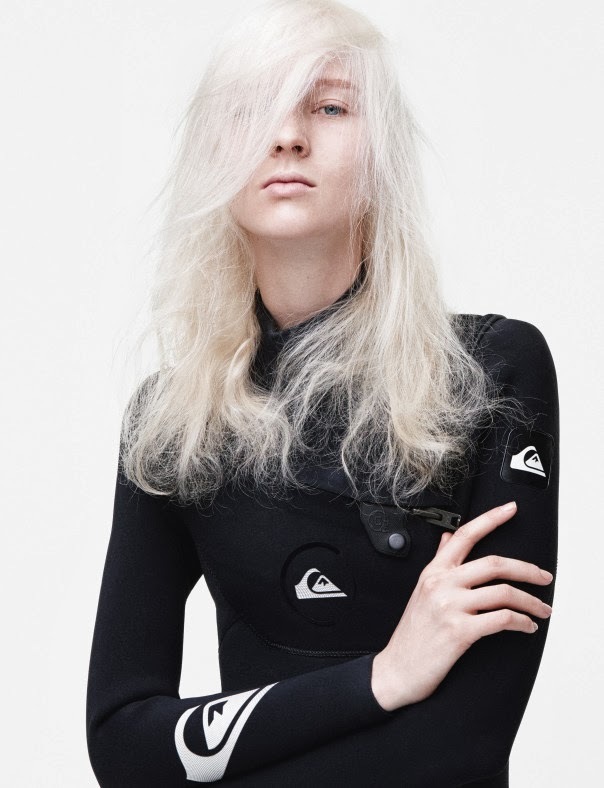 Chiharu Okunugi plays Goth punk replete with mouth piercing, Grace Mahary goes all Ninja, Nastya Sten's bleach blonde hair takes on a different spin as the alternative surfer chick, and Irene Hiemstra's "angry bird" features fit perfectly with her two toned helmet hairstyle. Black beauties Grace Bol and the mesmerising Riley Montana's spectacular physiques and glistening skin are showcased to full effect in string bikini and tank tops offset by over-sized overalls and leather jackets. New Jersey native Juliana Schurig sports a nose ring, bleached brows, and oversized sweater and as does Sam Rollinson whose striking square jaw line and nape-grazing bob fulfils the new grunge aesthetic for the cast of fabulous misfits.